Portable TVOC Detector is used to monitor the TVOC concentration in environment and enclosed space and alarm, with high accuracy, wide measure range for selections, light weight, small size, and easy operation. TVOC is abbreviation of Total Volatile Organic Compounds. TVOC refers to an organic substance with a saturated vapor pressure exceeding 133.32 Pa at room temperature, and its boiling point is between 50 ° C and 250 ° C. TVOC has a pungent odor and some compounds are genotoxic. It is generally believed that TVOC can cause imbalance of immune level, affect the central nervous system function, and so on. In any case, TVOC does great harm to human’s health. TVOC comes from combustion products such as coal and natural gas, smoke from heating and cooking, construction and decorative materials like glues, coatings, paints, plates and wallpapers, and so on. 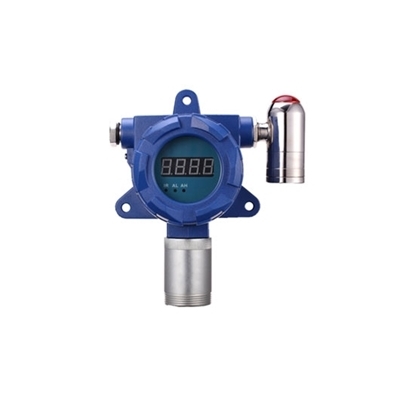 In any case, a gas detector to monitor the concentration of TVOC plays an important role in many applications such as grease/oil production, petrochemical industry, paint industry, etc.